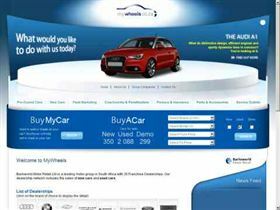 MyWheels.co.za is one of South Africa’s new and used car networks from Barloworld Motor, selling vehicles from franchise dealerships in Cape Town, Johannesburg, Durban, Port Elizabeth and in fact all over the country. The website is an advanced facility offering visitors the opportunity to do a search for and find the vehicle which suits their budget and requirements online. 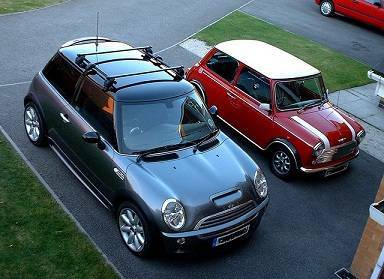 One feature that is really handy for those shopping to buy a vehicle for sale is the comparison facility. Visitors can compare specs, prices, engine power, speeds, fuel consumption and more from one vehicle to the next, very handy if you are not yet 100% sure exactly what wheels to purchase. Visitors can use the finance repayment calculator which will help to calculate an estimated monthly repayment according to a clients financial requirements.That’s not all visitors get offered from mywheels.co.za when looking at buying new and used cars for sale either! Need personal debt protection, credit shortfall or competitive comprehensive vehicle insurance? No problem, the guys at Barloworld Motor can organise these things for your convenience and you can contact them via the Contact Us page. In comparison with other online motor sales related websites, these guys are definitely a full step ahead. Whether it’s a car, bakkie, motorcycle or a repossessed vehicle you are shopping for, you can be sure that you will find it at My Wheels. My Wheels is a vehicle selling branch of Barloworld Automotive Bank. They sell a range of brand new, second hand and repossessed vehicles to the public and to dealerships at decent prices, mostly from their website. You can find almost any sort of vehicle on the My Wheels website and it is a good idea, if you are in the market for a car, to bookmark the site and keep looking regularly so that you do not miss a vehicle that could be perfect for you, your situation and your budget. Should you go for a new or used vehicle? If you have a steady, reliable income that will allow you to make a car payment with interest every month, if you have a good credit record and can get financing from a reputable financial service provider and if you are looking for a vehicle that comes with a service plan, several warrantees and that will have no mileage on the clock, then you should go for a brand new vehicle. After a few years, you can trade the vehicle in for another new vehicle and still pay the same amount every month. It is a good idea, of course, to make sure that you always make your vehicle finance payments in full and on time every month to avoid getting overwhelmed with debt. If you cannot afford a brand new car, if you have a bad credit score and if you cannot continue using public transport or relying on friends or family for transport, you should consider buying a second hand vehicle. You will be responsible for all of your services, any maintenance and any repair. This is not the best option for a long term solution, but as all individuals need a reliable form of transport it may be a good option if you cannot afford a brand new vehicle. Also, there may be hidden faults and flaws inside the vehicle that you will not find out about until you have bought the vehicle and been using it for some time. A repossessed vehicle is a good option if you cannot afford a brand new car and if you do not want to take the risk of going with a second hand vehicle. You may get a relatively new vehicle that has a low mileage, looks and feels quite new and still has its service plan and warrantees intact. This will save you a lot of money. If you want to find out more about My Wheels and the regular sales they have, or if you want to see what vehicles they have on offer at any given time, then you should visit their website at www.mywheels.co.za. You can peruse their catalogues or you can contact one of their staff for more information, details or to arrange to view a specific vehicle. The list does not end there! Need quality original parts or to find out where the nearest service outlet is for a BMW, Audi, Toyota, Hummer, Land Rover and other makes? Click on the appropriate links and vehicle badge logo’s or even contact Barloworld’s parts marketing manager for personalised service. With friendly and professional staff at the end of a phone to help you with questions and enquiries related to buying and servicing your new vehicle you really cannot go wrong by visiting mywheels.co.za to check out your options on new and used cars for sale in South Africa. If you are going for a brand new vehicle it is a good idea to compare different financing plans before you sign anything. You may find financing that offers a very low or a fixed interest rate which will save you a lot of money if you do a bit of digging. When you look for second hand vehicles, it is important that you inspect the vehicle thoroughly. If you are not a motor expert, take a friend or family member who is with you to do a thorough inspection of the inside and outside of the vehicle. Check the VIN number to make sure that the vehicle is not stolen and make sure that you stick to your budget.